If you are from Argentina, Bangladesh, the People’s Republic of China, Indonesia, Turkey, Malaysia, Poland, Portugal, Slovak Republic, Slovenia, Spain or Uruguay, you must hold a tertiary qualification or have satisfactorily completed at least two years of undergraduate university study. If you are from the United States of America, you must hold a secondary school (high school) qualification. evidence of successful completion of an English Bagrut exam in the level of three study units (Israeli applicants only). You must include a letter of support from your home government with your application. This letter does not guarantee you a place in the Work and Holiday visa program. If you are from Israel, the People’s Republic of China or the United States of America you do not have to provide a letter of government support. If you are a Malaysian citizen you need to provide a Malaysian Good Conduct Certificate, which can only be applied for online by selecting the ‘e-Consular’ link on the Malaysian Ministry of Foreign Affairs website. You may be able to apply for a different visa to extend your stay only if your visa is not granted with a ‘no further stay’ condition. You will be advised of this in your visa grant letter. Holders of visas without this condition can apply for a limited number of other visas while in Australia. You should contact your nearest immigration office in Australia to discuss your options. after you have confirmation that your Work and Holiday visa has been cancelled, apply for another visa. To cancel your Work and Holiday (Temporary) visa (subclass 462), contact the immigration office outside Australia where your visa was processed. You must provide documents to support your application for this visa. We can make a decision using the information you provide when you lodge your application. It is in your interest to provide all relevant information and documents with your application. You must provide copies of original documents. Do not include original documents unless we specifically ask for them. In general, documents not in English must be accompanied by accredited English translations. 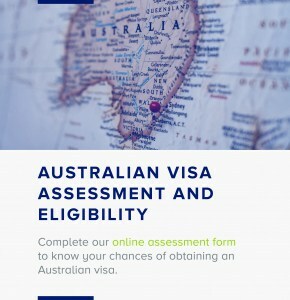 For country specific information, please see the website of the Australian Immigration Office where you will lodge your application for this visa. Application for a Work and Holiday visa. 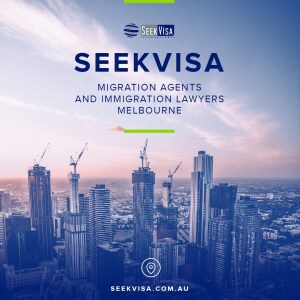 Form 1208 – Application for a Work and Holiday visa (205KB PDF). Form 956 – Advice by a migration agent/exempt person of providing immigration assistance (133KB PDF)(the agent or exempt person completes the form and you must sign it). Copies of the biographical pages of your current passport or travel document (these are the pages with the holder’s photo and personal details and the issue/expiry dates). If your name has changed, a copy of the evidence of the name change. Two recent passport-sized photographs (45 mm x 35 mm). Print your name on the back of each photograph. If you have served in the armed forces of any country: copies of military service record or discharge papers. Evidence of sufficient funds for personal support during your stay in Australia, of approximately AUD5000. Evidence that you hold an onward travel ticket out of Australia OR have sufficient funds to purchase such a ticket at the conclusion of your stay. This must be in addition to your funds for personal support while in Australia. For relevant countries, a valid letter of government support for this application. For details, see: Work and Holiday visa (subclass 462). Evidence that you have a level of English which is assessed as at least functional. You must provide one of the following prescribed types of evidence: the results of a specified English language test (IELTS, OET, PTE Academic, TOEFL, CAE) taken in the past 12 months or other eligible evidence of English skill. If you are providing the results of a Cambridge English: Advanced (CAE) test, the test must have been undertaken on or after 1 January 2015. For details, including other eligible evidence of English skill, see: Work and Holiday visa (subclass 462).